Start saving your dollars because destination dining in NSW just took on a whole new level of rustic with the announcement that chef James Viles of Biota is opening a second venue that has Chef's Table written all over it. 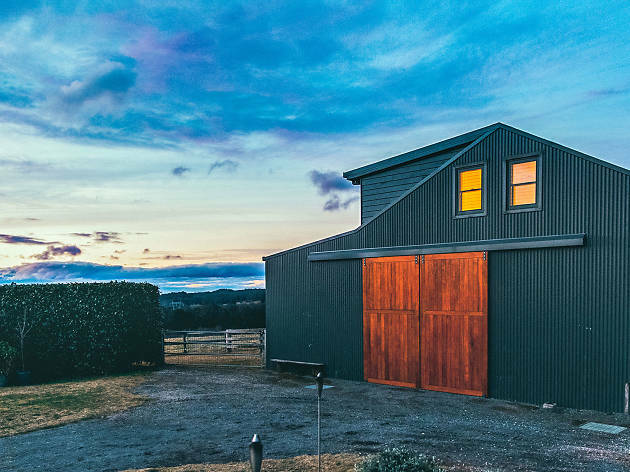 Barn will open in January 2019, and they are already taking bookings. And you are going to have to be quick because the key detail is that they only do two dinners per month. That's only 24 chances to eat at Barn in a calendar year. The reason they're keeping it capped is due to the concept of the restaurant, which is focussed on hyper-local produce and woodfire cooking. What you eat for your $190pp price tag will be what is available within a very small radius of Wildes Meadow. On the farm they'll be producing honey, meat, yabbies, fruit and nuts from the orchard, garlic and potatoes, and sourcing what else they need from neighbouring farms. If it isn't in season or available within biking distance of the dining room, you won't see it on the big share table for 60. 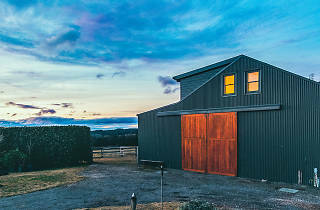 Sure, Bowral is an easy hour-and-a-half drive from Sydney, but if you don't fancy a long drive home after dark they also have installed luxe loft accomodation with two bedrooms for up to four people, and for two nights including breakfast hampers, Australian Botanicals and dinner one night at Biota you're looking at $2,200. If you ever wanted to get that rustic, farmhouse experience with your fine dining, this will be the place to do it. You need to arrive at 4pm so you can tour the property first, go yabby fishing and have pre-dinner drinks around a fire pit before dinner, prepared by head chef Ryan Kovac (Biota). The first two dinners are slated for January 11 and 25 in 2019. Dinner costs $190pp and they are taking reservations now.